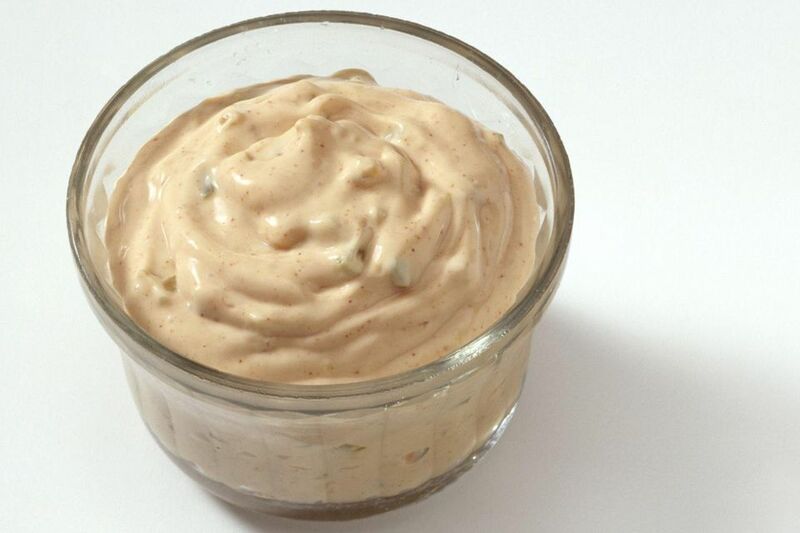 When I was a kid (and liked sweet dressings) Thousand Island Dressing was my second favorite after blue cheese (which should never be sweet). But back then it was far easier to get a decent 1000 Island dressing than blue cheese dressing in at the grocery and in restaurants - in fact, it still is although the situation has improved. This version isn't the original (created by Sophia LaLonde at the 1000 Island Inn), which included chives and chopped eggs but no relish or onion. Nevertheless, it's not bad, particularly with burgers and Reuben sandwiches. Taste and adjust seasonings, then chill for at least 4 hours to meld flavors.